Darwin Test is a MS Access based program, designed to validate and test the Darwin Core records (Darwin Core versión 1.2, Darwin Core 1.4 and Darwin Core Archive), a standard used by GBIF to facilitate the sharing of information about biological diversity (occurrences, conserved specimens in natural history collections, samples and all related information). Before publishing your biodiversity data in a public network such as GBIF it is highly recommended to test your data using Darwin Test in order to detect possible problems. 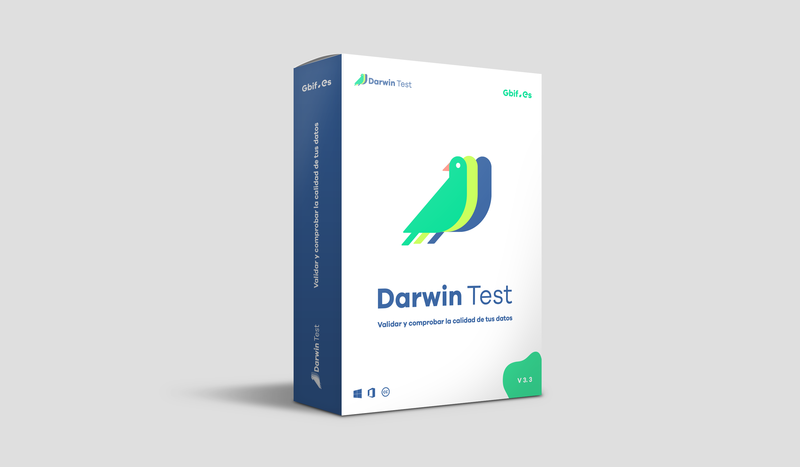 Darwin Test is available in Spanish and English. To validate and check records from Darwin Core standard (1.2, Darwin Core 1.4 and Darwin Core Archive) through queries that users can customize. To make direct corrections on wrong records through the validation forms. Those corrections can be set in a permanent way in the first Darwin Core table or in a parallel table. To create new validation queries to fit users needs. To check scientific names in comparison to the SCIENTIFIC_NAMES table from The Catalogue Of Life: ITIS and Species 2000, or to any other database that fits some minimum requirements (i.e. Archivos de Autoridad Taxonómica (AAT) from SIB Colombia). Coordinate conversions from UTM, MGRS and sexagesimal coordinates to geographic coordinates in decimal degrees which are used in the Darwin Core format. Detection of anomalous ASCII characters and correction for other defined by the user. Generation the Apparent Quality Index to follow the improvement in data quality. To generalize o delete geographic coordinates in those records of the DarwinCore that are considered sensitive data. To exchange data among different Darwin Core versions (1.2, 1.4 and DW Archive). To import and export .eml metadata congruent with the IPT (Integrated Publishing Toolkit) of GBIF. Pando F., Lujano M., Cezón K. Darwin Test (versión): una aplicación para la validación y chequeo de los datos en formato Darwin Core (consulta: fecha cuando fue consultado). GBIF.ES. Real Jardín Botánico (CSIC). Ministerio de Ciencia, Innovación y Universidades.